Facebook/OyshoZara’s parent company owns a brand that exclusively sells sleepwear and lingerie for women. Zara is one of the best-known global fashion brands, with more than 2,000 stores around the world. The chain is owned by Inditex, a Spanish retail conglomerate that operates seven other brands. 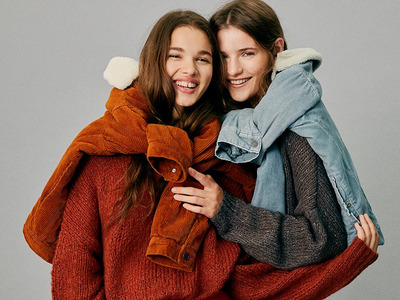 One of its teen-focused brands, Pull&Bear, launched online in the US this month. Find out more about these trendy brands below. Zara has become one of the best-known and most successful fashion brands in the world. However, US consumers tend to know little about not only the parent company driving its success but also its sister brands around the world. Since Zara’s billionaire founder Amancio Ortega opened the first Zara store in northern Spain in 1975, it has grown to become an enormous, over 2,000-store chain, with a presence in 96 countries around the world. In that time, Ortega has also grown his business by acquiring and launching other fashion brands, which now fall under the umbrella of Inditex. Inditex is considered the largest fashion retailer on the planet, turning out more than $US30 billion in sales in 2017. While many of these other Inditex brands do not currently have a presence in the United States, they are found in hundreds of countries around the world and make up a mammoth combined store count of 7,442 locations. Bershka is the second-largest chain by store count in Inditex’s entire operation. It has over 1,000 stores in 70 markets, and its sales represent 9% of the total revenue for the whole group. This low-cost brand is targeted at younger male and female shoppers. In October 2017, it opened its first store in the US, a pop-up in New York’s Soho neighbourhood. 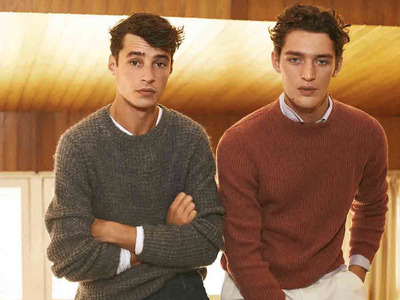 Massimo Dutti was originally a men’s fashion label that was acquired by Inditex in 1991. Several years later, it added women’s wear to its offering, and in 2003, kids also joined. This is Inditex’s higher-end label, and it’s targeted at an older customer. Prices are higher than at Zara, and the focus here is less on staying on trend but rather on creating more classic, timeless styles. It currently has 762 stores around the world. Oysho doesn’t currently have a store presence in the US, and much to the annoyance of some shoppers here, you are unable to order items online and have them delivered to a US address. Founded in 2001, Oysho specialises in women’s wear, including lingerie, nightwear, swimwear, and athletics wear. It has 666 stores in 65 markets around the world. This teen-focused brand has a very similar price point to Bershka, and there’s a lot of overlap in the core customer and the style. “Pull&Bear takes the latest international trends, mixing them with the influences that are seen on the street and in the most fashionable clubs, and reworks them according to their style thus turning them into comfortable and easy to wear garments,” it says online. The retailer has 970 stores in 76 markets around Europe, the Middle East, Africa, Asia, and South America, some of which are franchised locations. In February, it launched online in the US. Stradivarius was acquired by Inditex in 1999 and was originally a family-owned women’s wear brand. While it made a brief foray into men’s wear in 2017, this trial was axed in 2018. Its target customer is closer to Zara’s, focused mainly on millennials. It currently has just over 1,000 stores around the world and pulled in $US1.7 million in net sales in 2017. With 91 stores globally, Uterqüe is Inditex’s smallest and most exclusive brand, selling women’s clothing and accessories for the more mature shopper. Inditex says this brand is all about high-quality materials, which is why its prices are higher than Zara’s. 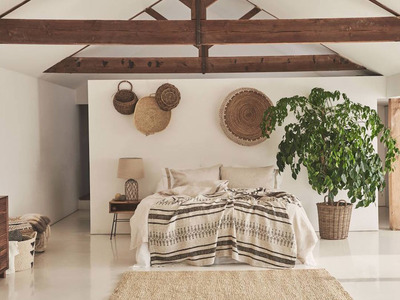 Zara’s home goods store is as hot on fast fashion as its namesake brand – new styles hit stores twice a week. It has 599 stores in total across 75 markets, including the US. You can buy anything from bed linens to home furnishings and kitchen wares. While it is certainly not a budget brand, it’s considered to be a stylish alternative to more expensive brands such as Pottery Barn.